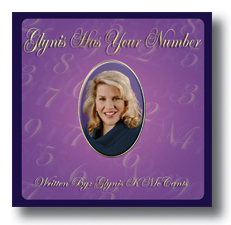 The Glynis Has Your Number Audio CD is an aid to the book. The CD is Glynis McCants focusing on the Numbers 1 thru 9 so that you can commit them to memory. We have found that those who have the Book and CD seem to be better incorporating Numerology into their everyday life. NOTE: To be clear, this item is for people who already own a copy of Glynis Has Your Number. It is not an effective tool for learning Numerology without the Book.